Online slots are generally categorized under standard groups, which are Traditional Slots, Bonus Slots, Progressive Slots, Video Slots and Holiday Favorites. Based on the original 3-reel slot machines, traditional online slots are best suited to the new player as they are quite easy to understand and play. Up a level from the traditional online slots are bonus slots. With Bonus Slots variations come into play in that the number of reels vary, as do the number of pay lines which can range anywhere between 9 and 25. Chances of winning are improved by increasing the amount wagered, which in turn increases the number of pay-lines. The Bonuses, from where this category gets its name, include free spins and free games. 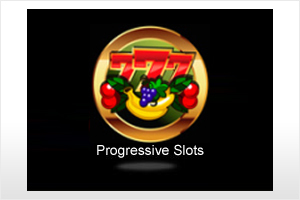 Progressive slots, which is another level up, gets its name from the jackpot which increases in size with each subsequent bet until it is won. With progressive slots, the final bet is a percentage of all the bets on the machine. The player may win other prizes along the way to the jackpot prize. 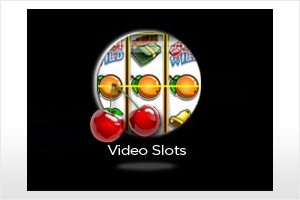 Video slots contain far more extensive graphics than you would normally see in regular imitations of mechanical slot machines. They often bear a resemblance to video games from which they get their themes. Many of them will cut away to a second screen view to display the bonus and usually come in 5 and 7-reels. 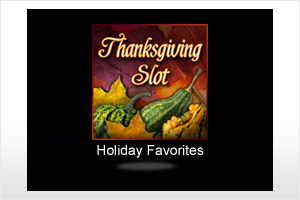 Holiday favorites are slot machines which come with holiday themes such as the popular Thanksgiving and Halloween versions. The enjoyable and rewarding experience players have while playing online slots is due in large part to the industry leaders in casino software. Quality and innovation are the hallmarks online casinos rely on from these leaders who maintain high standards. Five of the major players that power and design these gaming software specifically for the industry are Real Time Gaming ( RTG casinos accepting US players), Vegas Techology, Rival Gaming (both NO longer accept new customers), Microgaming and PlayTech. (Both not accepting US players). Although considered the new kid on the block, Rival Gaming have made their presence felt particularly with their emphasis on graphics. They concentrate on the gaming experience of the player and have developed a line of slots called interactive slots or iSlots. Better known games from Rival Gaming include Chicken Little, Big Cash Win, Gold Rush and Flea Market. Vegas Technology has been around in its current state since 2005 but before then it was known as OddsOn. They have the distinction of winning an award for their innovative work in the industry. 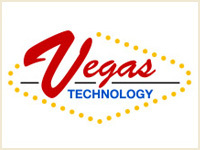 Vegas Technology has a wide assortment of games in their arsenal and it is possible their list excludes nothing. It includes single and multiple payouts, three and five reels, tournament play, bonus games and wild symbols to name but a few. Black Magic, Lucky Sevens, The Reel Deel and American Icon are among the nearly sixty games they have at last count. The most established and well known of the big five casino software providers is Real Time Gaming (RTG). RTG also has everything in online slots and among its range of products are Fruit Frenzy, Shopping Spree, Food Fight and Mid Life Crisis. Bonuses are a feature players look for when choosing online slots to play and they come in different forms. They usually appear as a second screen when you hit a certain combination of symbols on your first screen. In some cases you can take your winnings and in others you get the option of multiplying them. The Vegas Technology game American Icon Slots and Archipelago Slots by RPG are two examples of games which will reveal a second screen from which to pick one from a number of boxes to reveal the bonus. There are also reel slots bonuses that appear on the reel itself. They may come in a variety of ways including multipliers, scatter bonuses, cascading symbols or collecting points. Food Fight Slots and Light Speed Slots are examples of this. Added to the mix is what is known as re-spin slots bonuses. This feature allows for additional spins without the need to put down an additional wager. Popular online slots that allow for such re-spins are Rain Dance Slots and Red Sands Slots. The online casino business is very competitive. One key factor that sets them apart from each other is the promotions they usually have running to lure customers. If you are new to online casinos, or are considering making a switch from one to another, then this is a feature you must look at closely. This is a means of acquiring benefits from the casinos without having to pay for them. In Vegas Technology powered casinos, VIP Slots are offering a welcome bonus where your first three deposits are matched 100% up to $777. What this translates into is $777 totally free money at your disposal. Something similar takes place at casinos powered by RTG where there is a welcome bonus totaling $888. A matching amount of 100% is due to you for your first $400 deposit and your second deposit is also matched 100% to the tune of $488. Rival powered casinos are a little different in that they give out $7.00 just for signing up and without having to deposit anything. They will also match your first deposit up to $150 by 300%.